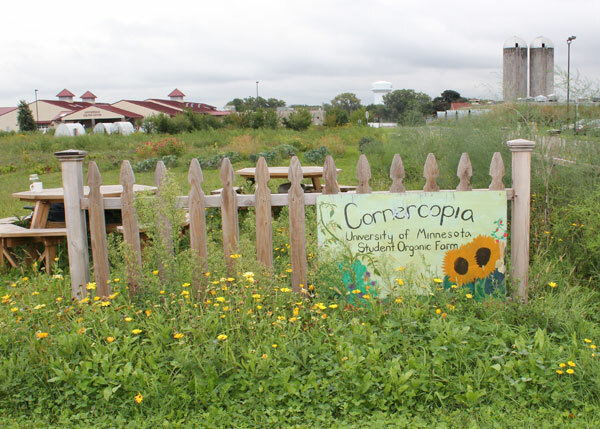 It’s going to be another bumper crop at Cornercopia, the 5 1/2-acre certified organic, mostly unmechanized, student-run truck farm on the St. Paul campus of the University of Minnesota. This season isn’t over yet, but last year the land produced 10,000 pounds of produce divided among 130 species, according to farm manager Courtney Tchida. Not bad for a site where everything from weeding to picking off the potato bugs is done by hand by a team of nearly two dozen students and interns, who also supply foodstuffs to university dining facilities and sell their products directly to the public weekly at the campus’s own farmers market. Cornercopia is located on the St. Paul Campus. A decade later, Tchida notes that half the farm is given over to student research projects such as an “ever-bearing, day neutral strawberry” that may continue to produce right up until the end of the growing season in mid-October. The public can enjoy the research results of plants like this one even before they reach the stage of commercial production. The ever-growing strawberries will be sold this month at the campus farmers market alongside less surprising seasonal fare like winter squash, pie pumpkins, Brussels sprouts and possibly kale, chard and collards. Students from a variety of disciplines work on the farm. 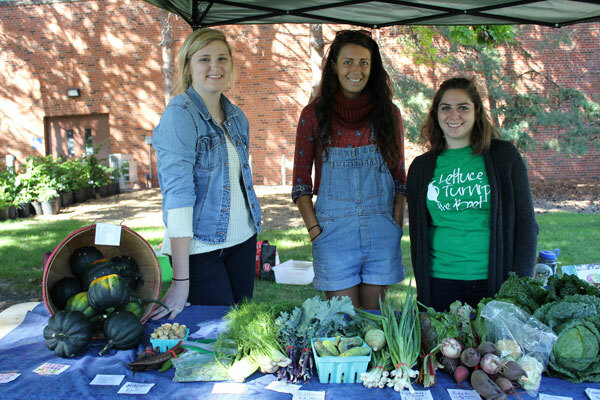 Shown here at the farm’s produce stand are Kalley Guerdet, a senior in Environmental Science Policy and Management; Angie Tomlinson, a senior in Food Systems; and Jorie Shapiro, a senior Nutrition manager. For Tchida, the pleasure of observing the growing process takes many forms. She loves “the fun of growing new things,” but what she enjoys most is watching her former students develop their skills. “I stay in touch in them on Facebook even after college, and it’s great to see years later that students are still growing things in their own gardens,” she says. One student who plans to put the skills she acquires at Cornercopia to use in later life is Ashley Osten, a senior Health and Wellness major, who spent this summer working as an outreach intern giving tours to visitors, ranging from preschoolers to incoming University of Minnesota freshman. Osten says her career plans include “bringing the farm to the school” when she becomes a health teacher. “I wanted to learn how to run a community garden,” she says. No pesticides are used at Cornercopia and, while Osten says that can mean occasional sessions when all hands are pressed into service “picking off the Colorado potato beetles,” this summer’s bountiful tomato crop emerged completely unscathed. Good organic farm practices are scrupulously followed. Having access to vegetable “seconds” is one of the best perks of the job, according to Osten. 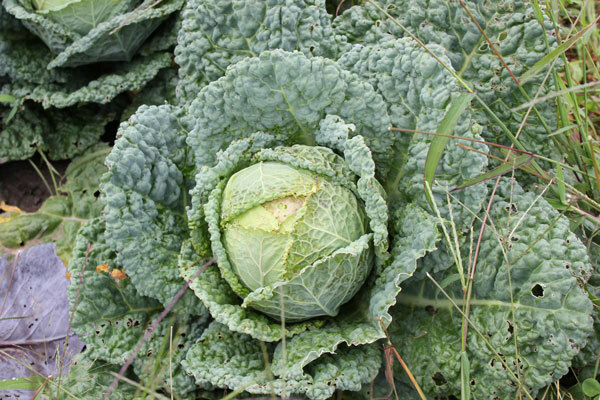 “My favorite is kohlrabi. It’s like a cross between cabbage and cauliflower with a radish-like consistency. You can eat it like a carrot,” she says. She’s also used less-than-perfect Cornercopia veggies to develop her cooking skills. Associate professor of horticulture Julie Grossman oversees organic programs on the St. Paul campus. She thinks some of the most important benefits of programs like Cornercopia are the economic lessons it teaches to students who are interested in organic, sustainable farming. “We use the farm as our living lab,” she says. 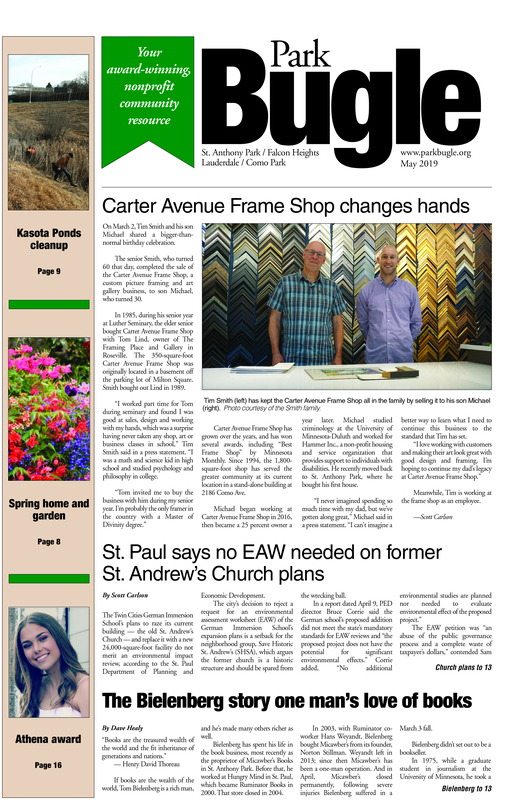 In addition to best farming practices, “we focus on marketing and … we teach creative strategies like season extension,” which can bring reliable deliveries of organic local produce to happy customers in Minnesota despite our relatively short growing season. This fall, the U will partner with the nonprofit food hub Good Acre in Falcon Heights to put up three “high tunnels.” These commercial-scale hoop houses will each be 90-by-30-feet, covered in with plastic sheets and hard to miss to those driving by on Larpenteur Avenue. The structures will protect the crops inside from frost well into late fall, “and one of them will belong to the Cornercopia students,” says Grossman. Grossman is proud of Cornercopia alumni like Ben Boo and Brian Noy, who have gone on to agriculture-related careers. Noy has worked for three years for Urban Ventures, an organization in South Minneapolis that uses volunteers to grow produce for the urban market and operates “a mobile farmers market truck” that brings fresh fruit and vegetables to low-income city neighborhoods. He’s in charge of all aspects of the farm-to-market operation and says his time at Cornercopia was good preparation. “At Urban Ventures, we have kind of the same conditions as at Cornercopia. It’s mostly people new to farming trying to grow things on scale,” Noy says. Boo has chosen a different entrepreneurial path. The 2014 grad is the co-founder of Mighty Axe Hops, which he describes as “one of the few commercial hops farms in the state.” This year, Boo and his partner raised $4.6 million to bring an 80-acre hop farm into cultivation. Boo says that the challenges of running a complex, market-driven agriculture business call on some talents he didn’t learn at Cornercopia. For example, he’s already signed the delivery contracts for the as-yet unplanted 2017 crop. But he thanks the U’s program for giving a suburban Plymouth-raised guy like himself his first taste of the possibilities of agriculture. 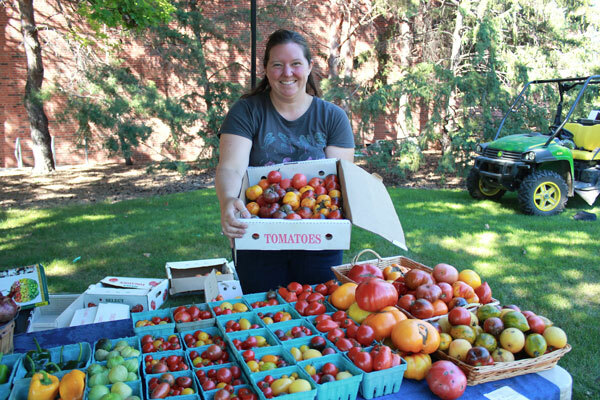 The St. Paul Campus Farmers Market will be open Wednesdays from 2 to 5 p.m. on outside the Food Science and Nutrition Building on Commonwealth Avenue through mid-October. 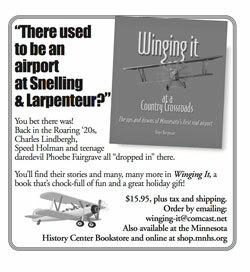 For more information about Cornercopia, visit cornercopiafarm.blogspot.com/. When she’s not writing about community news, Judy Woodward spends her time as a reference librarian at the Roseville Library. September 29, 2016 at 12:18 pm.09. consequat. pulvinar eget leo Praesent ut dictum libero sed dolor libero.